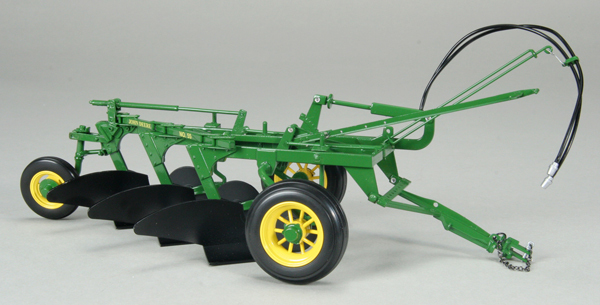 This trailing plow attaches to your tractor with the hitch pin provided. This version has the hydraulic lift system. The plow shares are black as well as the coulters. This model 55 plow has rubber tires.